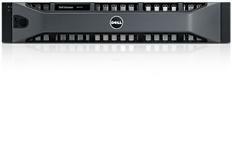 The Dell™ EqualLogic™ PS4210 Series is Dell’s first hybrid storage array in the entry-level PS4000 series. The PS4210 series is aimed at small-to-medium data centres and remote offices that want the benefit of EqualLogic storage but perhaps don’t need the highest capacity or performance needs. 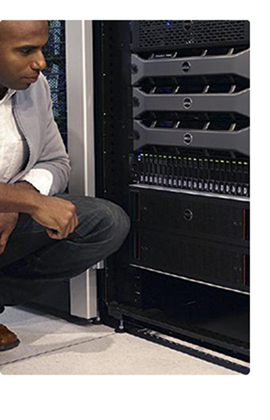 Offering next generation with increased memory, performance and connectivity that is easy to manage and is optimised for virtualisation platforms, the new arrays support 1GbE and 10GbE, easing the management of environments while providing flexibility of using SPF+ or 10GBASE-T ports. High-performance 15K RPM HDD system for applications with high-capacity and high-performance requirements. Can be combined with other EqualLogic PS Series arrays in the same SAN group, online with a maximum of 16 total arrays per group that can support up to 2 PS4xxx arrays and 14 PS6xxx arrays. A maximum of two arrays can be in a group of PS4xxx series with up to 96TB. Altitude: For altitudes above 2950 feet, the maximum operating temperature is derated 1ºF/550 ft.
Dell ProSupport Plus for critical systems or Dell ProSupport for premium hardware and software support are recommended to provide you the right support services for your EqualLogic solution. Contact your Krome representative today for more information. The Dell™ Storage PS4210 Series arrays offer next-generation storage with increased memory, performance and connectivity options for small-to-medium data centers, remote offices and current PS Series environments. Desktop virtualisation platforms like Citrix XenDesktop 7.5 can provide organisations with significant cost savings, streamlined implementation, and ease of desktop management. In order to achieve these VDI benefits and to ensure optimal user experience, storage infrastructure design and sizing considerations need to be addressed carefully. 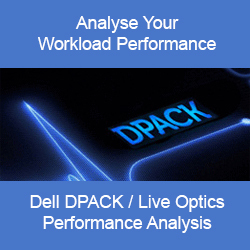 The goal of this paper is to present the results of a series of storage I/O performance tests and provide the optimal virtual desktop density for a PVS based XenDesktop VDI solution leveraging a Dell Storage PS4210XS hybrid storage array.